Following 39 years at the University of Florida College of Dentistry, Associate Dean for Education Venita “Nini” Sposetti, D.M.D., has announced plans to retire in October 2019. Sposetti earned her bachelor’s degree from Florida State University in 1973 and her dental degree from UF in 1979. Her postgraduate work includes earning certificates from UFCD in General Practice Residency in 1980 and from the UF College of Education in 2000. After graduating from dental school, Sposetti became a visiting instructor and, less than a year later, became an assistant professor in 1980 and an associate professor in 1986. She served as the assistant dean for admissions from 2001 to 2011, when she was promoted to associate dean for education. 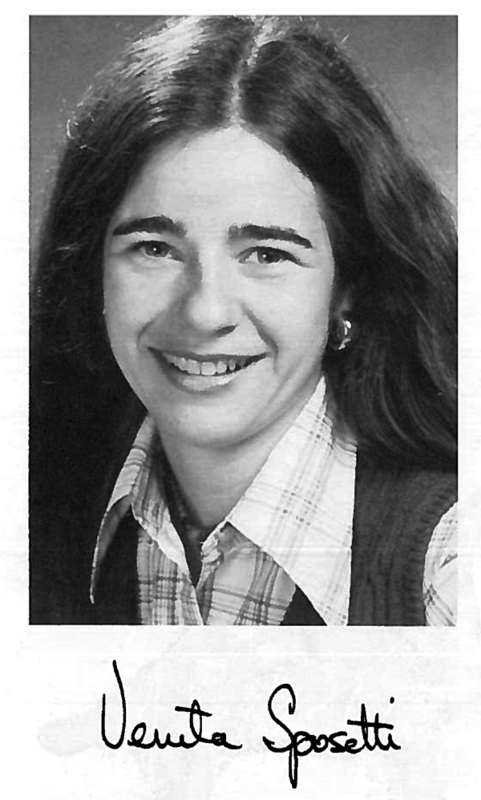 Dr. Nini Sposetti’s yearbook photo in 1979, the year she graduated from UF College of Dentistry. 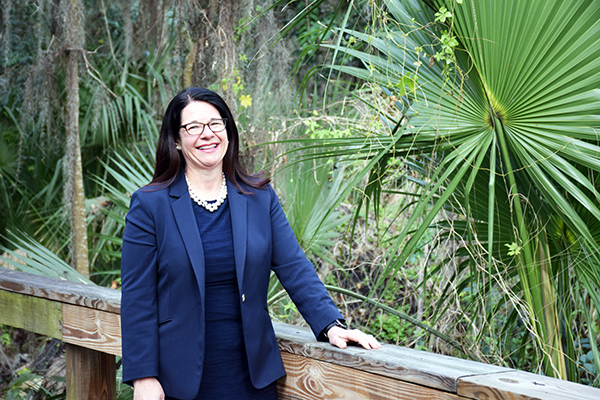 “In addition to her administrative leadership, she has worked tirelessly to create and foster interdisciplinary education opportunities for our predoctoral students as well as teaching courses throughout her tenure at UFCD. Dr. Sposetti has played a significant role in the education of all Gator Dentists who have graduated over the past four decades – and made a difference for the oral health of Florida as a result,” said Isabel Garcia, D.D.S., M.P.H., dean. The college will soon launch a national search to identify a new associate dean to lead the academic mission of the college with the same consistent energy, determination and spirit with which Sposetti has filled the role. “Dr. Sposetti has greatly enriched our college, with her strong commitment to the high levels of ethics and excellence for which our college is known. I know we are happy that she’ll have more time to spend with her family and friends, and no doubt we will see her out in the community, making a difference for others with her many talents,” Garcia said.